Although growing quickly, augmented reality and virtual reality still represent a fledgling industry. Its rapid, compounding growth is indicative of a very important piece of the technology sector, but that doesn't answer the question of where it is meant to be applied. Right now, we see this technology being used mostly for gaming and other entertainment functions, but it's predicted that AR and VR will soon have a more major impact on other industries, as well. Augmented reality is a unique piece of tech that can, in theory, really make sense anywhere. More people across more industries are starting to realize that AR isn't just for video games anymore. Real estate stands to gain a lot from the AR boom. 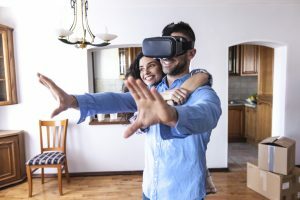 With 51 percent of consumers saying they have put off home improvements because they couldn't imagine what the finished project would look like, both AR and VR tech could potentially give homeowners an opportunity to get a glimpse of the future, to a certain extent, with their home projects. On top of that, the technology to walk through a simulated interactive 3D model of a property is possible with the help of a VR headset, and gives potential buyers the chance to see what they're getting into when choosing one bathroom design over another. Many would argue that real estate sells itself; however, there is always room for improvement when it comes to the process, and AR presents a unique opportunity to do just that. International shoppers and home flippers can use augmented reality to gauge interest on properties and predict home-buying trends to determine which home features to invest in. AR-based mobile apps may seem like a more small-scale technology compared to virtual home tours, but it's giving potential homeowners a chance to make more informed decisions than ever. Mobile apps from REALTORS® or real estate databases allow a simple street-view scan of a home to provide listing and rental prices for properties, the last sale price, number of bedrooms and bathrooms, and more. It's basically a virtual flyer in the palm of a potential buyer's hand. The icing on the cake is the ability to show buyers what new furniture would look like in a space they're considering purchasing. IKEA has an app that can show you what that couch will look like in your new space, with lighting and all. The infographic from Lumus below details the future of AR within the real estate industry. With predicted revenue in the real estate market from AR projected at $2.6 billion by 2025, real estate will never be the same once AR is finished with it. Are you ready to take your real estate business to the next level? Let augmented reality be the secret weapon for your success. Brian Wallace is the founder and president of NowSourcing, an industry-leading infographic design agency based in Louisville, Ky., and Cincinnati, Ohio, and works with companies that range from small business to Fortune 500. Wallace also runs a local event to make the Louisville/Cincinnati region more competitive (#thinkbig) and has been named a Google Small Business Advisor for 2016-2018. 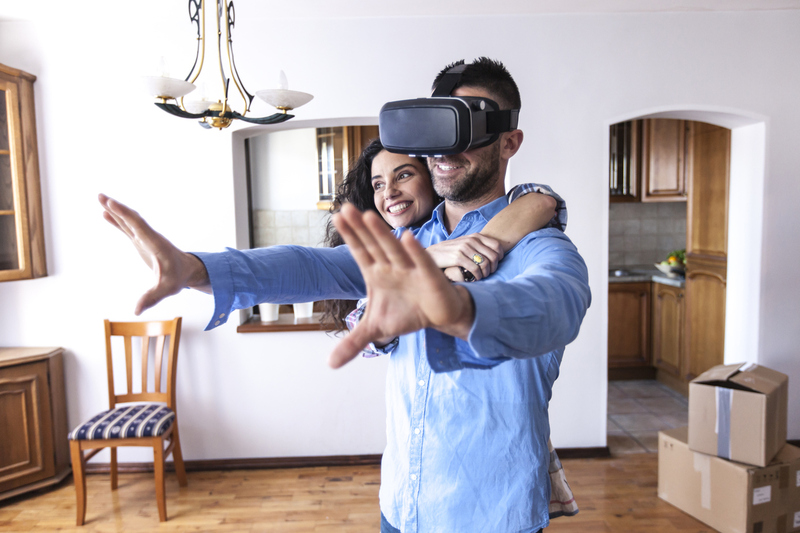 Do you think augmented reality and virtual reality will transform the real estate industry to a point where the real estate agent will do walk-thrus of property from their desk? Thanks for sharing information. post more information about real estate benefits. I am waiting for your new updates. I really like the blog, keep sharing these kind of information with us. and i am waiting for your new updates on Real estate.